Originally published in The Australian on 9 May 2018. Australians have a tendency to believe we don’t matter much in the world. We saw this during the prime ministership of Kevin Rudd, caricatured as “Kevin 747”, as though it was self-indulgent for him to travel abroad on the country’s business. We saw it during the prime ministership of Tony Abbott, when many scoffed at the idea that Moscow would care about what he thought about the shooting down of Malaysia Airlines Flight 17. We see ourselves as onlookers or cheerleaders, rather than participants in international events. However, the 2018 Lowy Institute Asia Power Index, launched this week, shows that Australia is a significant player in Asia. The Index ranks 25 countries and territories in terms of their capacity to influence regional events. In the largest comparative assessment of its kind, we evaluate states’ military capability and defence networks, economic resources and relationships, diplomatic and cultural influence, resilience and future trends. Australia – with a population smaller than that of Nepal – finishes sixth for overall power. Australia is a leading middle power in the region, with broad-based influence relative to its size. The index finds the US remains the top dog in Asia, but China is closing on it fast. Washington leads in military capability and cultural influence, but Beijing is competing effectively below the threshold of conflict. Beijing leads in terms of economic relationships in Asia, and the Belt and Road Initiative is likely to increase this lead. A long way behind these two regional superpowers comes Japan, the quintessential smart power, and India, a sleeping giant, followed by Russia. But Australia is hard on Russia’s heels as an Asian player. Geography, history and effective institutions put Australia in a strong position to deal with the changing distribution of power in Asia; even as the country’s share of economic, demographic and military resources declines relative to its neighbours. Australia is a consistent performer across all measures of the index. It places sixth for diplomatic influence and seventh for cultural influence – a result which reflects its position as the most popular destination among index countries for Asian university students, behind only the US. Australia’s best assets are its resilience, where it ranks third, and its defence networks, where it ranks second. Both these measures of power are essential to its long-term security. Australia’s institutional stability and its privileged geography, as a continent surrounded by a moat, are also advantages. Unlike many index countries, Australia has no interstate conflict legacies with its direct neighbours, and has resolved its minor maritime disputes. In defence networks, the history and depth of the US alliance puts Australia ahead of other US treaty allies such as South Korea. One weakness for Australia is its tendency to put all its eggs in one or two baskets, rather than diversifying its relationships. On the security side, Australia should be thickening its relationships with powers such as Japan, South Korea, Indonesia and India to hedge against the risk of US retrenchment from Asia – a real prospect in the Trump era. In terms of economic relationships, Australia is over-reliant on China even by the standards of most countries in Asia. Two-way trade with China, for example, accounts for a higher percentage of Australia’s total trade than almost any other significant Asia-Pacific economy. 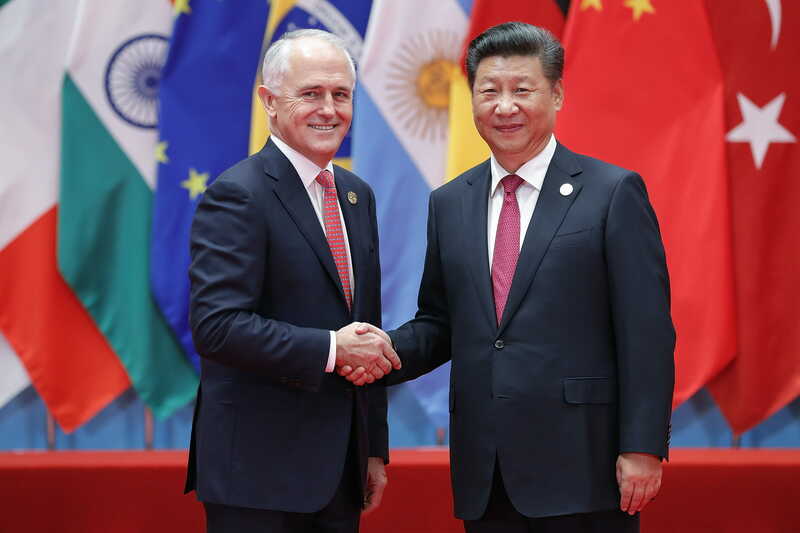 This makes it harder for Australia to stand up for its interests and values, and easier for Beijing to impose costs on Canberra if it so wishes. It is crucial that Australia strengthens and varies its Asian relationships, especially given that its comparative share of resources will inevitably decline in the years ahead. The underlying drivers of change in the region are Asia’s extraordinary economic transformation and the weight of numbers. Australia’s healthy demographic growth is no match for Indonesia’s, let alone the 169 million people India stands to gain to its working-age population by 2030. Australia’s economy will grow substantially over the next decade, but not enough to stop other countries from overtaking it. We should be cognisant of the challenges ahead, but also optimistic about our ability to make a difference. Our place in the Asia of the future will depend on choices we make: to grow our economy, to welcome immigration, invest in research and development, resource our foreign service and our defence force, and intensify our connections to our region. Australia’s performance in the 2018 Asia Power Index should be an antidote to the old strain of self-doubt. If Australians are confident and sure-footed, we can contribute to regional peace and prosperity. In the pursuit of a stable balance of power in Asia, Australia can weigh in the balance – if we choose to do so.